In order for one Mother to adopt a child, another Mother must lose a child. In order for an adopted child to attach to her/his adoptive family, that child must let go of their biological family. Adoption ALWAYS involves a lifetime war of nature vs. nurture. Sometimes nurture wins. Sometimes it doesn’t. When you choose to have a child with someone, you usually take into account what that person will contribute to your child. Will they make pretty babies? Do they come from a long line of smart people? Do compassion and entrepreneurship run in their family? Are they athletic? Will your children be ugly, clumsy, dumb, lazy, and cold-hearted? Do heart disease, diabetes, and cancer run in both of your families? Does your potential Baby’s Daddy have a physical or learning disability? Adoption works nothing like the above scenario. Before I go any further I want to say that I LOVE ADOPTION! I don’t want this post to leave anyone believing otherwise. But I’m sick and tired of reading all the blogs and news articles that paint adoption as nothing but rainbows and unicorns. In biological parenting you weigh all the knowns, and you accept the risks. In adoption you weigh all the UNknowns, and you accept the risks. I’m a risk-taker. I was made for adoption. And still… adoption has broken me, taken me to the end of myself, and shown me day after day that the only way through this life is 100% dependence on God. Yesterday, January 10, 2015, I did one of the hardest things I’ve ever done as a parent. My husband and I admitted our nine-year old daughter to the psychiatric unit at Children’s National Medical Center. I have prayed for wisdom in sharing details leading up to this decision while protecting our daughter. The decision to admit her was ultimately made because we no longer felt that we were keeping her safe at home. She will be hospitalized anywhere from one to three weeks and in that time we will meet several times with a team of doctors and develop a plan for keeping her safe at home from this point forward. 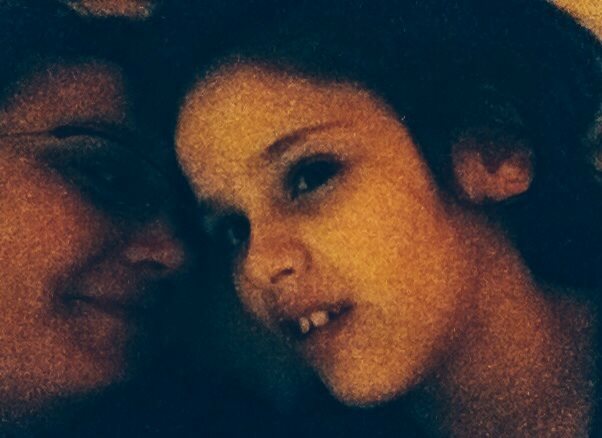 When we began the process of adopting Sofija we knew that she had autism. We were told little else about her or her biological family and everything we WERE told was untrue. When we arrived in Serbia and met her and heard the truth of her history and experienced exactly what we were getting ourselves into, I wanted to walk away. Judge me. Think badly of me. I really don’t care. I wanted to walk away. No matter what your thoughts are, I encourage you to click that last link and read the post I wrote in Serbia while God was working on my heart. As hard as it was to move forward and as hard as every day has been for the last 57 months, we were walking in God’s will. And there’s really no place I’d rather be. -Sofija has repeatedly run away and has spent every second of every day trying to find a way out of the house so she can get to 7eleven. -She has hurt herself. Repeatedly, and in horrible ways. -She has hurt us. Repeatedly, and in horrible ways. -She refuses to stay in her seat in a car and she frequently attacks (jumps on, slaps, throws objects at, pulls hair) everyone in the car, to include the driver. -She has hurt other students at school and on her bus. Last, but certainly not least, she has stopped sleeping. She didn’t fall asleep AT ALL between January 2nd and January 6th and since the 6th she has slept no more than 2-4 hours per night. When she wakes up she tries to get out of the house which means that we don’t sleep. The only rest Chad and I have had for the last couple of months has been when she’s at school. We’re not living. We’re surviving. We try to keep her and us safe when she’s home and we sleep while she’s at school. That’s our life. Our life is exhausting. We are spent. But… James 1:27 Pure and genuine religion in the sight of God the Father means CARING FOR ORPHANS and widows in their distress and refusing to let the world corrupt you. Does that mean every person who calls themselves a “Christian” needs to adopt? Absolutely, positively, NO. But it does mean that The Church has a responsibility to care for orphans. What does that look like? For me, today, it means sitting in a room that looks like a prison cell (with a sweet view of The Capital and the Washington Monument) with my daughter and believing that her (and our) quality of life will be a thousand times better when she is released. It means that I get to spend the rest of my life fighting the nature vs. nurture war with high hopes that nurture will win. What does “caring for orphans” look like for you? Well, it’s honestly a question that you have to answer for yourself. I can tell you that our family is not the only adoptive family hurting. Maybe not to the same degree as us, but there are adoptive families all over the place just trying to survive. -LOVE THEM! We’re lonely! We’re tired! We need YOU!! For quite some time we have basically been shut-ins. Because Sofija hates leaving home and her favorite way of taking control in the car is to jump on the person driving, leaving our house as a family has literally required risking our lives. She’s almost 5’1″, weighs 87lbs, runs like a cheetah, and she’s strong as an ox. We NEED people to come to us. -Stop judging us!!! We need love and grace and compassion and there just isn’t any room in our lives for judgment. And while I’m on the subject: Adoptive Moms, please stop judging other adoptive Moms. Some families choose disruption and if that is what they choose, respect that choice. I can absolutely guarantee you that the decision to disrupt is not made with any less thought than the decision to adopt. We’re all just trying to survive and care for orphans and sometimes caring for an orphan means allowing that child to become part of a new family. -We also need people to love on our other children. They’re lonely too. They’ve made HUGE sacrifices in order for us to add a child to our family and (in our case) they have been traumatized by the addition to the family. They need some peace and normalcy and they just don’t get it at home. -Find an adoptive family in your church and get to know them. Go to their home and try not to be freaked out by the chaos. Our church does an AMAZING job of loving on us! We have a small group of people from our church that meet at our house weekly so that we have a chance to love on others. -Don’t be afraid to go to the homes of people with adopted children. You just might be blessed! We’ve learned more about grace, faith, hope and provision, than most people will in a lifetime. Ask us questions. Most of us miss face-to-face conversations. -If you can financially support adoption, contribute to someone who’s in the process. Adoption is expensive (average cost is $30k-$60k) and just because someone is a risk taker with the strength and grace to parent a child from a hard place doesn’t mean that person has the financial resources to bring home a child that needs a family. -Offer to babysit. You might get slapped or have your hair pulled or have things thrown at you; but you also just might save a marriage that’s been pushed to its limits. Did you read that? Getting uncomfortable for a few hours may just save a marriage. And a saved marriage means less trauma and loss for a child who’s lost more than anyone ever should. -Most importantly: PRAY! Pray for our family and when you’re done, pray for other adoptive families. God answers prayers. God heals. God provides. Get on your knees or in your shower or pause before climbing out of bed and PRAY! In adoption there are indeed rainbows; those bright, beautiful, colorful moments that fill you with hope and promise and paint a smile on your face. But like real rainbows, they fade away too soon and leave you expectantly searching for the next one to appear. Although the rainbow moments exists, there are no unicorns. Adoption is not magical and mythical. It is hard. Really hard. But you know what? When you cut the horn off a unicorn you still have a beautiful, strong, stubborn, magnificent being. Adoption is a horse. And I like horses. Believing that our hospital snuggles quickly become SAFE at-home snuggles. I can’t imagine the level of difficulty you deal with. One of our children is strong willed, but nothing like what you’ve described. You did the right thing. Just imagine if she ended up in a home of someone who didn’t care. Kaci, your honesty and strength astounds me, and you have an exceptional skill at communicating with clarity and depth issues of true life. After one of your other posts, I thought it would be good if there were a ‘service’, ministry, or simply ‘matchmaker’ that arranges for families or individuals to ‘adopt’ a family who has adopted. As you write, it seems that has occurred in your community: friends have rallied around you and provide moral support, companionship, and surely other ways of support (meals, baby sitting, …). My prayers continue for Sophia, you, your family, and about how I may be able to be used by God in the miracle that is adoption. Thank you, Eva! There absolutely is a need for such a service! Thanks for bravely letting us into your world a little bit. I validate your calling and your struggle, and will pray for you all in the weeks ahead. We love you, and this helps me understand so much more everything you and your family are facing. We are standing with you and believing with you and expecting great, great things!!! We are incredibly grateful for our church family! Believing with you and praying with you. Safety to all and rest to all. Gods plans for everyone. Peace to you and your family. Thank you for your honesty. This was fabulous. On too many occasions, I’ve been the child psychiatrist sitting across the room from families like yours wanting somehow to convey a sense of hope while at the same time struggling with my own helplessness because we have no magic pills to address the complications that occur when the effects of early trauma and neglect interact with the genetic vulnerabilities that all too many kids living in foster homes or orphanages were born with. Your love and your extraordinary commitment to your daughter reflects true religion. I made a point to pray for you, your husband and your daughter. Having visited Children’s National and having served on committees with physicians from there, your daughter is in a good place. Dr. Grcevich, thank you so much for reading and commenting and praying for us. Your work with Key Ministry has given me hope and inspiration more times than I can count. CNMC opened our eyes to just how far pediatric mental healthcare to go in the US, but our decision to place our daughter there for a week was absolutely the right decision. Please keep doing what you’re doing. Albeit our situation is not exactly the same, I’m on your boat. I have a foster son whom we are trying to adopt. It is not easy. As you say, not an unicorn… But it’s a horse, and i do love horses too. Our son suffers from traumas, and we walk alongside him. Our bio kids do too. Often we feel so worn out that we’d rather sit and watch tv versus socializing with friends. Most people don’t know how much of ourselves is spent over this… Thank you also for remembering our bio children who are daily sacrificing too. They’ve opened their own spot so to fit another sibling, who is in such great need of nurture. Our bio children need to quickly mature for the sake of another. I hope the Lord heals your little girl and your family. May these days be part of all your children’s testimony some day. Thank you for speaking on behalf of many, many other adoptive (and foster) parents, who are trying their very best to help their hurting child. Thank you for acknowledging the biological children, who daily sacrifice their “own spot” so that another child can find nurture. It is a big deal for the biological children because they have to quickly mature for the sake of a hurting one. This is hard for many adults to do, so I appreciate our children’s willingness to open their hearts as well as we do as parents. Thank you for being there for this little girl. I know it isn’t easy, and I know how isolating it can feel. And the child needs our love so desperately that we must let go of that normal life-style so that the child can have a chance at healing. Just yesterday I wrote on my blog a post that supports your stand. There is a reality in fostercare and adoption (especially if it is a child who came from a very hard place) that most people are unaware of, and I wish more people knew about it. If not to foster or adopt, then to at least support those who are going through it. There is a documentary that I watched the other day too. The Dark Matter Of Love. Eye opener. We love our children, and we are in it to serve. It doesn’t mean it is easy. I can SO relate! Both daughters adopted. Youngest – depression, suicidal tendencies, self-harmed, anxiety, panic attacks, body issues, self-esteem issues, abandonment and rejection issues, running away, gotten in trouble with so many things. As Christian parents we prayed and prayed. Things did change as she got older and along with counseling she is in a better place but wow! raising adopted children is HARD! My heart hurts and relates to what you are going through. If I could choose to adopt again, I would. I wouldn’t trade anything from what has transpired. In fact, my daughter is the reason why I started my blog Anchor Of Promise. She encouraged it. I will keep your daughter and your family in my prayers. This was a great article and I really appreciate your total honesty. Many do not understand. We have to be the voice to let others know that they are not alone. Thank you for sharing. Stacy, thank you SO MUCH for joining this conversation! Like you, I would do it all again. God has opened so many doors for me and given me so much purpose BECAUSE we said “yes” to adoption. I may be a masochist, but as hard as this journey is, I would do it again. We have done 5, 1 day, psych units and 3 2 to 4 week “adolescent behavioral health hospital placements, along with 2 extended day programs since June. Just tonight I went through chaos at bedtime because we said “No” to locking herself in the bathroom to draw all over her body with permanent markers. We said she could use regular markers. My other kiddos hide or start to relive their own trauma. We are trying desperately to hang on to this 11 year old girl child that has lived through so much and is so fearful and angry. On top of this stuff our 17, almost 18 year old adopted daughter, bio to our 7 year old adopted, RAD, ODD, ADHD loverly, child, said she was not wanted 2 weeks ago and ran away. We at least now, no where she is. So, no this is not easy. So hard. So isolating. I read your comment, and I want to encourage you to keep strong. You are not alone. Some day you will reap the reward for every day you persevere on behalf of your kids. Keep marching on! With my love and respect, Gloria R.
Have you heard of SonRise or the Autism treatment center of America? Might be of some help in the future. Kippi, I’m looking them up right now. Thank you! We are a few months into a similar but less extreme journey, and your personal words struck deeply home for me- the primary caregiver- again and again. ‘Taken to the end of myself’. Every day. It was therapeutic to recognize so much of what I think and feel in your story of your family’s journey. I wish you all the very best. Karen, I’m sorry that you are going through your own struggles, but I’m so glad that you found that you’re not alone. Praying for you and your family.